The strongest wheel available for all wheelchair sports. 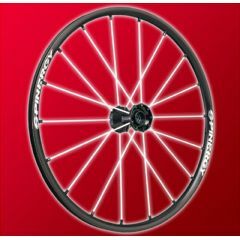 New spoke design is extremely durable - resulting in less truing and spoke replacement than any other wheel. Very quiet rolling wheels (no spoke creaking). Extremely lightweight and attractive design.